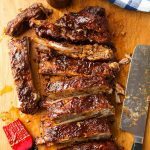 This is the EASIEST recipe for delicious Instant Pot Baby Back Ribs. 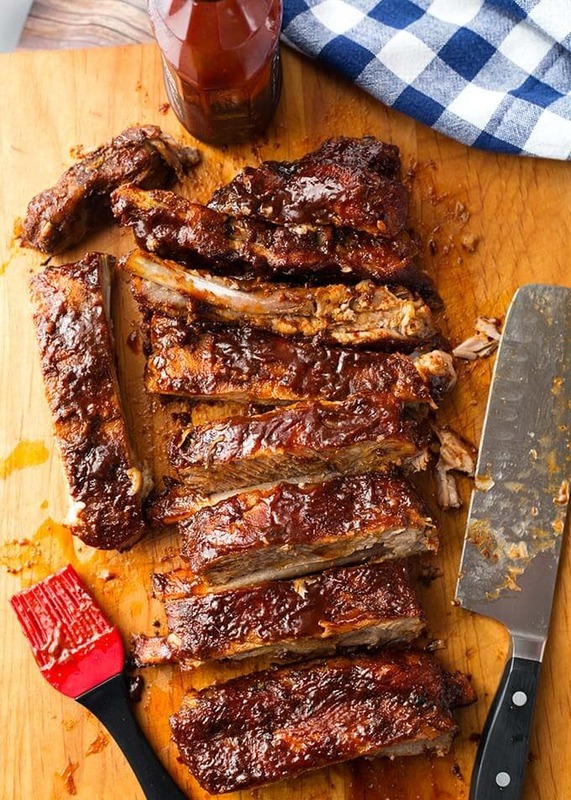 Who cares what the weather is doing out there, you can make ribs indoors, in about an hour! I don’t even know how to tell you how good these pressure cooker ribs are, so you need to make them and see, and taste these Instant Pot Ribs for yourself! We love to grill here at Foodie Central. That being said, we also live in Western Washington, where rain is the name of the game something like 9 months out of the year. Sometimes it feels like more! I’m used to it, being born and raised here. It’s all about workarounds. So what do I do when I want some smokey, tender, juicy, meaty Baby Back Ribs and it’s raining out? No worries, I just cook them in my Instant Pot! Okay, even if it’s not raining, because it is so easy, and the ribs turn out awesome! Electric pressure cooking makes the meat tender, but even in the Instant Pot, you can overcook. Don’t confuse falling apart dry meat with falling apart juicy meat. The trick is to cook for the amount of time the recipe calls for, and when the cooking cycle ends, let the meat sit in the pressure cooker for at least 10 minutes before you release the remaining pressure and open the lid. It’s much like letting the meat rest so it retains the juices. I usually rest my Instant Pot Baby Back Ribs for 10-15 minutes. I can fit 2 racks of baby back ribs in my 6 qt Instant Pot, but find myself cooking only 1 most of the time. Bryen just learned to drive so I hardly ever see him these days! 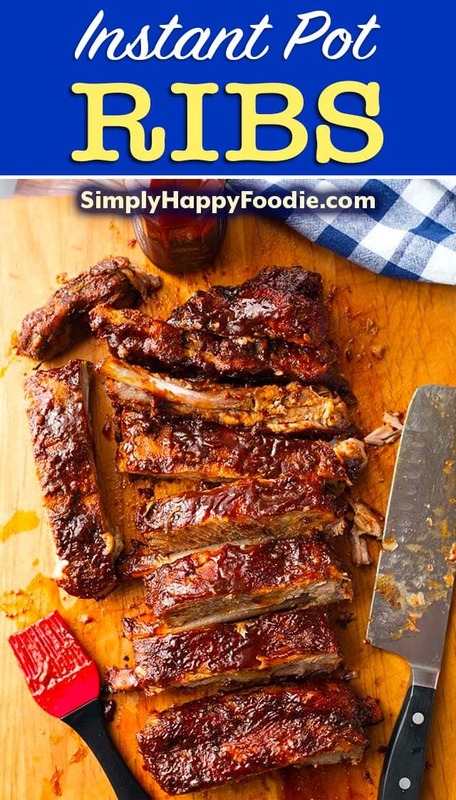 He can pretty much eat a whole rack of Instant Pot Baby Back Ribs by himself! I shudder to think what he’s eating out there in the wild. Is it just me, or are all moms a little nervous when their kids are finally able to drive? 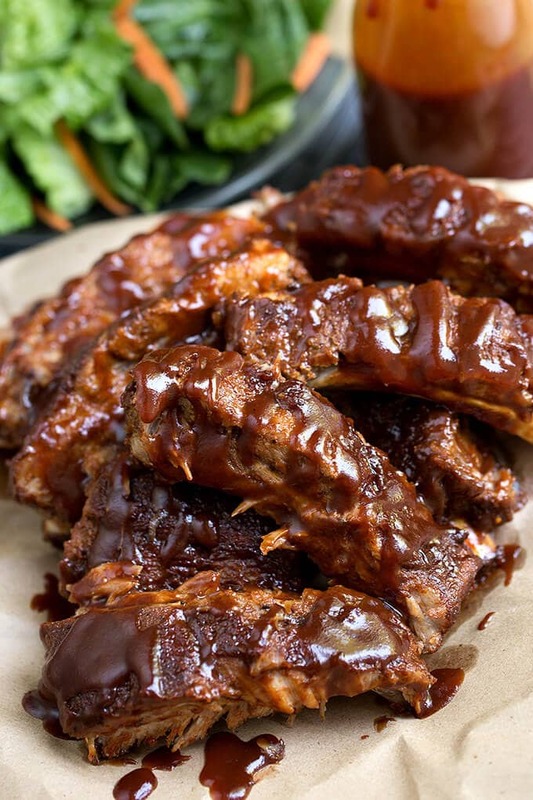 So, now that you know my secret, that you can make Instant Pot Baby Back Ribs any time, any weather, and in about an hour, have you jumped in the car and headed to the grocery store to buy your ribs yet? If you see Bryen, tell him to call his mother! P.S., Here is the recipe for my Ribs Spice Rub! Watch the video of me making ribs in the Instant Pot! I’m not the best videographer, but it might help the newer IP users out there! Tried your Mississippi Pot Roast, and Honey Glazed chicken thighs. Both where off the charts! Wife made sure I saved both to do again. And, she is not easy to please, believe me! Is the cook time the same if you use 2 racks of ribs? Hi Tracy, yes, same cook time. Hi Yvonne! I’m glad you liked these ribs! We’re making a batch on Memorial Day, along with my potato salad! The rub is so good, and is also great on pork. Thank you for your review! Made your ribs tonight–wow were they good! Used your rub with a little less cayenne pepper. We don’t like heavy, overly sweet BBQ sauce and I modified KC Masterpiece Original with apple cider vinegar, V-8 juice, and orange juice (used up my apple juice cooking the ribs) and this lighter version was great. I’m left with a full pint off really great tasting, but pretty concentrated, juice which I’ve saved. Do you have suggestions on making gravy or sauce from this? I thought maybe with some powdered pork gravy plus some more water to cut the concentration, then thickening as needed. Thanks for your great recipes–have made several. I’ve had no failures with my IP–I follow directions and mainly use recipes from the FB pages. Mississippi Pot roast was a real winner also–wonderful gravy! Hi Linda, rice is a great thing to make with the liquid. Make sure you rinse it first. I’m so glad you liked the recipes! Thanks for your review! What do you mean by deft it first? Lol! I think I meant rinse it first. How did autocorrect get deft? Lol! Hello, I was just wondering if any ajustments need to be made if I am using an 3 qt instant pot? Use 1 cup of liquid and you may need to cut the rack of ribs to fit. Keep cook time the same.